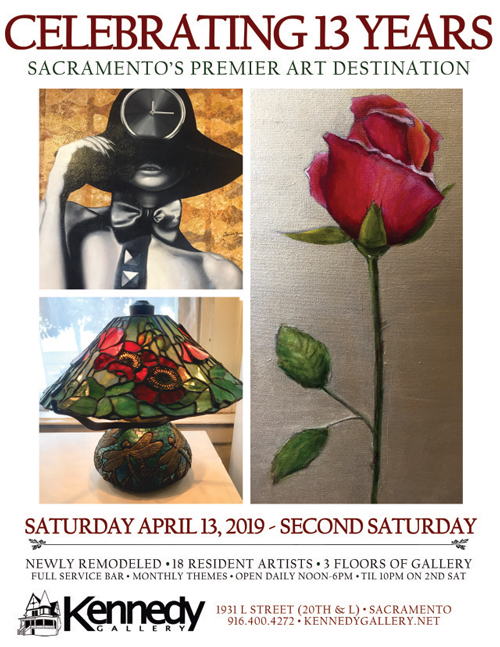 Celebrate 13 Years at Kennedy Gallery Sacramento this 2nd Saturday, April 13, 2019. 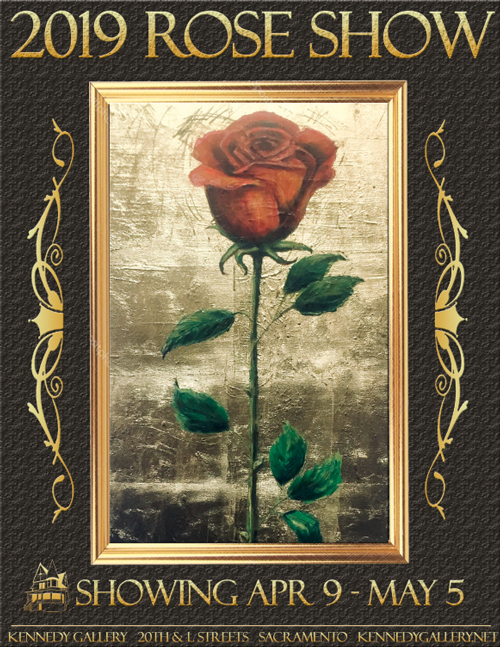 Kennedy Gallery’s theme this Saturday is the Rose Show. There are 3 floors of artwork on display, with 18 resident artists. Plus, there is a full service bar!